Aw, she is so cute! :) So do the kids have off all week or just part of the week? 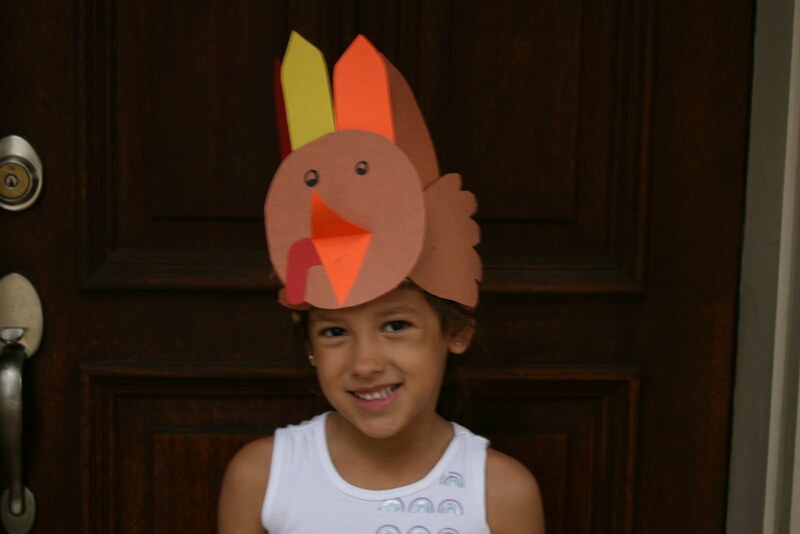 Ella are you the cutest Turkey ever or what I love how you make other turkeys say "gobble gobble gobble I want to be as cute as Ella Turkey" sadly they can't be because you are the only cutest of them all. tara, they get the whole week off. yea! What a cutie pie! Happy Thanksgiving! Gobble Gobble!! what a cute lil' turkey. Hope you guys have a Happy Thanksgiving. That turkey is too cute to eat, guess you'll have to buy another! I love your turkey hat Ella! You are such a good little artist. Have a wonderful Thanksgiving! !